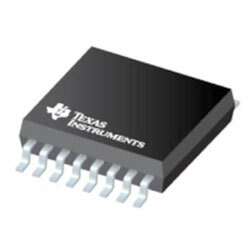 Texas Instruments TMUX1109 5V Precision Multiplexers provide differential 4:1 or dual 4:1 single-ended channels with a wide operating supply of 1.08V to 5.5V. The device supports bidirectional analog and digital signals on the source (Sx) and drain (D) pins ranging from GND to VDD. All the logic inputs have 1.8V logic compatible thresholds. This assures both TTL and CMOS logic compatibility when running in the valid supply voltage range. Fail-Safe Logic circuitry protects the device from potential damage by enabling voltages on the control pins to be applied before the supply pin. The multiplexers have a low supply current of 5nA and small package options. The multiplexers and can be used in a wide array of applications from ultrasound scanners, patient monitoring and diagnostics, optical networking, optical test equipment, remote radio unit, wired networking, plus ATE test equipment, factory automation and industrial controls, PLC, analog input modules, SONAR receivers, motor drive, and servo drive position feedback.